Pet an opossum? Kick back with a kangaroo? Get wisdom from an owl? Lounge around with a lemur? Learn to soar with a hawk or eagle? And great wine tasting, too? Yes! You can do all this and more as part of the 7th annual Wine Safari, a two-day opportunity to meet and learn more about the animals of the world and how we’re all connected, while the adults sample some great Paso Robles wines. So if you’re hankering for a weekend adventure without packing a suitcase, and a single event that will please everyone in the family, then head to scenic western Paso Robles along Highway 46 West. “The Wine Safari is a fun, family outing that everyone can enjoy,” said Lanie Angeles, COO of Conservation Ambassadors. In its 7th year, Wine Safari is the largest charity event hosted by the Paso Robles 46 West Wineries association. Proceeds benefit local nonprofit Conservation Ambassadors, which provides lifetime homes for displaced, abused, abandoned, or permanently injured wild and exotic animals. Conservation Ambassadors, a 501(c)(3) nonprofit in Paso Robles, has been providing lifetime homes for displaced, abused, abandoned, or permanently injured wild and exotic animals for nearly 30 years. “Through our popular Zoo to You and You to Zoo programs, we provide educational programs for all ages focused on conservation,” Angeles added. First, take a look at the list of participating wineries, below. Then, purchase tickets online at https://46westwinesafari2018.brownpapertickets.com . A few tickets will be available at the wineries, but they typically sell out quickly. Next, from 11:00 am to 3:00 pm on Saturday and Sunday, March 3rd and 4th, simply stop by any (or all!) of the 16 participating wineries in the Paso Robles 46 West Wineries association. “Each winery will have an animal and human handler from Conservation Ambassadors,” said Angeles. Say hello to the animals, and learn from the Zoo to You staff more about their habitat, conservation, and what you can do to become involved. The wine tasting includes three wines at all 16 participating wineries, all part of the $30 ticket which is good for both days. We want everyone to stay safe, so please have a designated driver if you choose to enjoy wine with the animals. The wineries are equally excited about the event and several are offering even more fun. The fun-loving and playful armadillo Roswell visited Dark Star Cellars at the 2017 Wine Safari. Dark Star will have coloring pages for the kids, and families are welcome to bring a picnic and enjoy the afternoon at the winery. “On Saturday, we’ll also have live music from 2:00 to 5:00, with singer and songwriter Natalie Gelman, so it’ll be a full day of fun,” said Crowe. 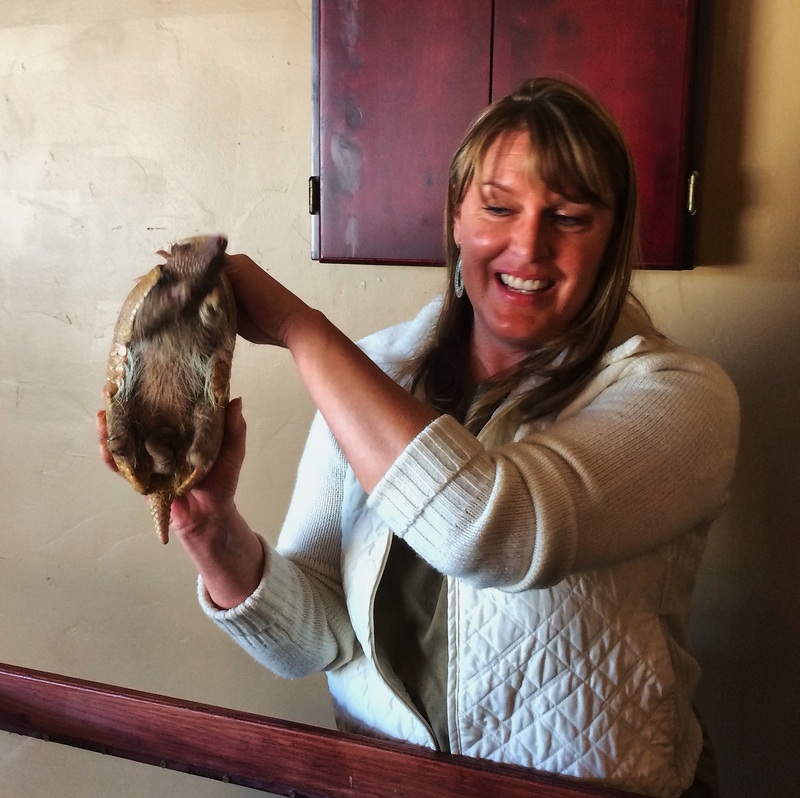 Natalie Montgomery, Assistant Wine Club Manager at Midnight Cellars, shared the fun of not knowing which special animal will visit the winery until the morning of the event. Hedgehogs Salt and Pepper came to visit Midnight Cellars at the 2017 Wine Safari. Montgomery looks forward to Wine Safari as a kickoff to the busy season at the area’s wineries, and she and others in the industry say the event attracts new people to the area and to the 46 West family of wineries. “It gets bigger every year, and it’s a great opportunity to drink wine and do good in the community for the wonderful animals that Conservation Ambassadors cares for,” she said. 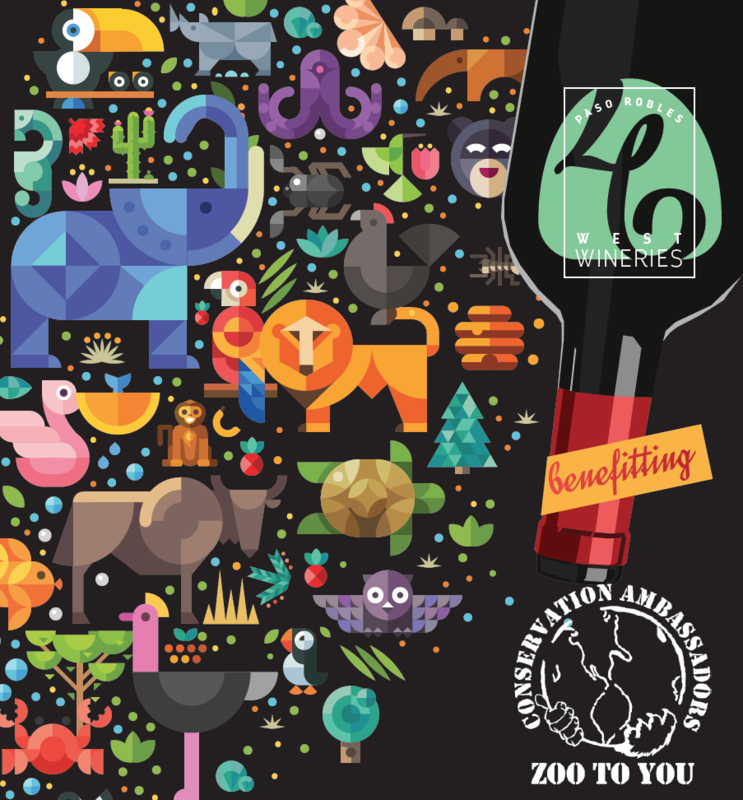 “The spirit of the event is all about community and supporting Zoo to You, which has been doing great work for many, many years,” said Ryan Lopez, General Manager at Peachy Canyon Winery. Last year, cockatoos visited Peachy Canyon during Wine Safari. 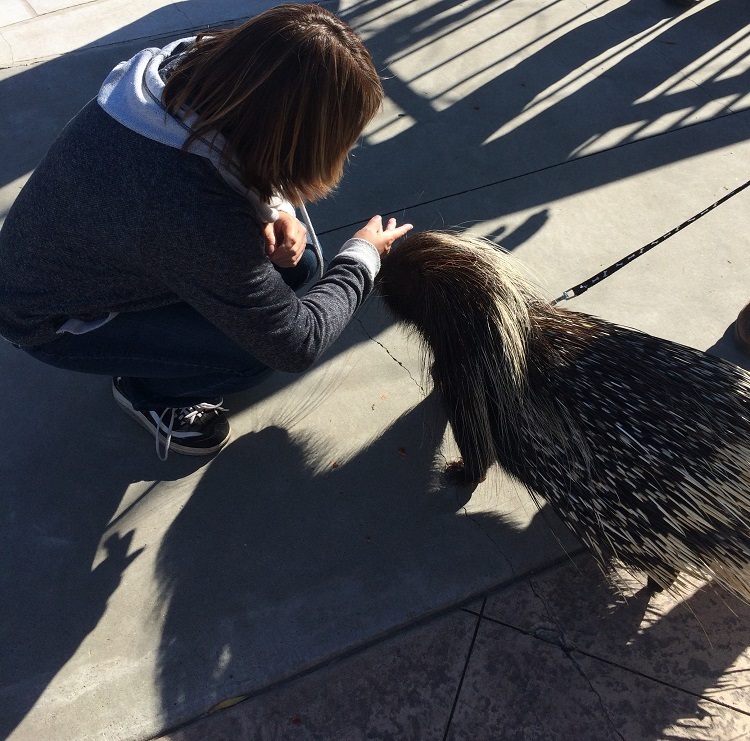 Who wouldn’t want to pet a porcupine? Now’s your chance at the 7th annual Wine Safari, hosted by the Paso Robles 46 West Wineries. Morocco, the bundle of quilled personality, visited Tooth and Nail Winery last year. Most of the wineries in the 46 West are family owned and family run. “This is a great way to share the feeling of that. Bring your kids, play lawn games, enjoy some wine, pack a picnic, and enjoy the afternoon,” he said. Is the 2019 Wine Safari planned? Do you know the dates it’ll be held? Thanks for leaving a comment. We have not hear of one yet, but have put the word out and will let you know when we hear.